The hills are alive: Damansara Foresta, a development by L&G, in Bandar Sri Damansara will focus on units ranging between 1,400 sq ft and 1,600 sq ft.
DAMANSARA Foresta, a project by Land & General Bhd (L&G), will mark the company's first residential project after a long hiatus on its old tuft. Located adjacent to the Bukit Lanjan Forest Reserve, Damansara Foresta comprises 42 acres of which only 50% will be developed. The land was purchased decades ago before it was taken over by Hong Kong-based developer Tan Sri David Chiu several years ago. The re-emergence of the company in Sri Damansara will, in all likelihood, bode well for the company which went through a very challenging period during the Asian financial crisis. Under its new management headed by managing director Low Gay Teck, previously with the Mayland group, things seem to be moving for L&G again. Unlike Mayland group, which focuses predominantly on studio units of about 500 sq ft in Sri Hartamas, L&G will take a different route. The salient point about Foresta is the contours of the land. About half of the 42 acres are class three and four slopes where development is not allowed to take place. Only class one and two slopes can be developed. Slopes are divided into four classes class one for slopes below 15 degrees, class two between 15 and 25 degrees, class three between 25 and 35 degrees and class four, above 35 degrees. There will be a canopy bridge and hideaways dotting the “undeveloped” portion of the land. Lim believes the pursuit of greenery whether landscaped or natural will portend well for the project. Although the project is yet to be launched, the first two blocks comprising a total of 464 units are nearly fully sold. The project was opened for sale early last month at RM500 to RM550 per sq ft. Due to popular demand, the second block was opened for sale the same month. Lim says the project will be officially launched at the end of this month with sales starting for the third block. They are still working on the price. The first block was launched with units with a built-up of 1,400 sq ft priced at more than RM700,000. When completed, the project will have 928 units. The entire project, comprising four separate projects on that strip of land, will have a total of 2,700 units. So far, buyers are predominantly upgraders from Sri Damansara, Desa ParkCity and Petaling Jaya who are attracted to the green factor. Damansara Foresta is also expected to add quite a bit of buzz into that established locality which has been around for about 20 years. It is a neighbourhood with lots of wide tree-lined roads but has seen little development the last 20 years. The most recent was 8trium, an office block also by L&G after the Mayland take-over. That office block will be completed in about three months. TA Global Bhd, the property arm of TA Enterprise Bhd, is also developing Damansara Avenue which comprises serviced apartments and commercial office and retail blocks. While the acreage L&G's 42 acres versus TA Global's 48 acres are about the same, the similarity stops there. Damansara Foresta is a residential freehold development while Damansara Avenue will be on commercial land with retail and office elements with higher utilities and tax rates. Damansara Foresta will be set apart from Damansara Avenue because of the green factor as it could only make use of half of its land for development purposes while Damanasara Avenue will be pretty much another integrated mixed development. Damansara Foresta is located 180 metres above sea level while TA Global's project fronts the Damansara-Puchong Highway (LDP). The elevated land will give Damansara Foresta a certain ambience that TA Global's project will not. Access may be an issue in time to come, however. Although the developer has painted a pretty picture with accessibility via LDP, Middle Ring Road 2 (MRR2), New Klang Valley Expressway and Sprint Highway, traffic is very heavy on some of these roads with the LDP and the MRR2 being very congested during the peak hours. New developments along the LDP will eventually feed into the already congested highway and surrounding infrastructure. 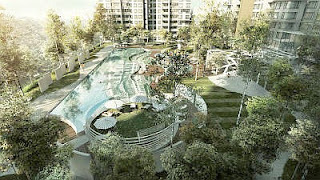 Other than Damansara Foresta and Damansara Avenue, new and upcoming developments include the 25-acre Empire City project and three other projects by the Empire group in Damansara Perdana, several condominium projects by Perdana ParkCity Sdn Bhd and new developments in and around Sg Buloh. Unless the government approves new infrastructure, the congestion along the LDP and surrounding roads and highways is expected to be tremendous. 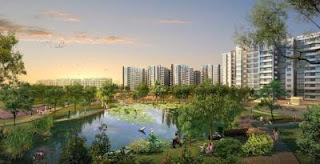 An artist’s impression of Gamuda’s property development project, the Celadon City, in Ho Chi Minh City, Vietnam. It has a gross development value of RM5bil and spans over the next seven years. With property projects in Malaysia and Vietnam, Gamuda Bhd which was appointed the project delivery partner for the Klang Valley My Rapid Transit project is a formidable property company. For the first quarter ended Oct 31, 2011, some 50% of its net profit was derived from the property segment. Revenue was up 1.23% to RM642mil, while net profit was up a staggering 49.46% to RM132.32mil. For the period, the group achieved 29% increase in new sales worth RM450mil. This was driven by its developments in Bandar Botanic, Jade Hills and Horizon Hills. 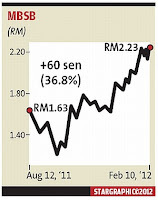 The sales of RM450mil makes up one-third of Gamuda’s RM1.35bil target for its financial year ended July 31, 2012. In Vietnam, the group saw strong response to Gamuda City’s (Hanoi) soft launch. All 72 residential units, with a sales value of US$33mil (RM99mil) for phase one were fully taken up. Meanwhile, a US$30mil (RM90mil) land sale to AEON should be booked in the third quarter of its financial year. For Gamuda City and Celadon City in Vietnam, Gamuda has a total sales target of RM650mil for FY12. Gamuda Bhd group managing director Datuk Lin Yun Ling says the Vietnamese market was expected pick up this year, especially since all of its approvals in Hanoi are now in place. To date, the company has an unbilled order book of RM1.2bil, with the company recording record sales of RM1.32bil for its financial year ended July 31, 2011. Lin says the Vietnam market is not as bad as people think. Just some four years ago, Vietnam was seen as the next rising Asian star, with a population of more than 80 million people and a labour force that remained cheap. Nonetheless, its weakening currency and high inflation have created uncertainty among investors. Vietnam’s inflation slowed for a fifth month in January. Consumer prices climbed 17.27% from a year earlier, compared with 18.13% for December. Vietnam’s inflation is the fastest in a basket of 17 Asia-Pacific economies tracked by Bloomberg, stoked partially by credit growth. Last year to Dec 21, credit expanded 11%. “Actually the market is always there, just that there has been an overlay in the last two to three years with the government’s structural deficit and balance of payment issues. These do not give confidence to the financial markets. But the more important factors like very strong demand and economic growth and foreign direct inflows are all still very bullish. So you have to look at the combined picture,” says Lin. He added that in Hanoi, its first phase of landed units have been fully taken up, and Gamuda is now targeting to launch its second phase. As for Celadon City, Gamuda will soon be launching two blocks of high rise condos of 400 units each. Gamuda Land managing director Chow Chee Wah says that there is now an opportunity to strengthen its market presence and expedite construction works in Vietnam. “The main drivers of demand for quality homes are urbanisation, population growth as well as the increasing incomes. Our township development is planned and targeted at aspiring young Vietnamese families, professionals as well as entrepreneurs ranging from late 20s to mid-40s,” he says. Besides Gamuda’s operations in Vietnam, Myanmar has also been earmarked for future developments as the country undergoes rapid political change. Gamuda has set aside US$1.2mil (RM3.6mil) to assess potential business ventures and opportunities in a nation of 60 million people. Lin says the company has a team of people in Myanmar. Last year Gamuda had approved a US$1.2mil (RM3.6mil) budget for a market study in Myanmar to assess the business potential there. Lin adds that Gamuda’s properties always do well, simply because it offer unique products. In the case of its Celadon City, it has a park which other high rise condos do not have. In Horizon Hills Johor, the developments are wrapped around a golf course with a very exquisite surrounding. In Johor, Chow says that the recent opening of the Coastal Highway boosts the accessibility within the Iskandar region as well as to Horizon Hills and it reduces the travel time by half to 15 minutes. The recent increase in stamp duties for property transaction by the Singaporean government is another lift. Below are some of Gamuda’s developments and upcoming launches. Celadon City has a gross development value of RM5bil, which started in 2010 and spans over the next seven years. The differentiation for Celadon City is that it offers the largest central park comprising 40 acres of central parklands (including three lakes of 1.6ha) with integrated commercial and residential township. The 16 ha green parkland integrates nature into modern living. Residents can enjoy nature trails, lake gardens, meadows and wooded forest, all at their doorsteps. Upcoming launches: Apartments with built-up ranging from 670 sq ft to 970 sq ft of two rooms, three rooms and 3+1 rooms. Prices are from RM180,000. Yen So Park is located in the Hoang Mai and Thanh Tri districts, Hanoi, Vietnam and is adjacent to Victory Square. It is accessible via the national highway and ring road 3. It is an 800-acre development comprising a 700-acre park (including 340 acres of lakes), a 453-acre integrated mixed township and a 22-acre modern sewage treatment plant. With a GDV of RM9bil beginning 2007, the development will take 10 years to complete. The integrated commercial township consists of high rise Grade “A” office towers, a convention centre, shop offices, five-star international hotels, a 50-storey tower, a retail mail and festive retail shop lots. There is a proposed township development comprising of a variety of housing types for the area ranging from apartments to villas. There are also community support facilities such as recreation clubs, schools and health facilities. Upcoming launches: Terrace Houses with land areas ranging from 1,180 sq ft to 1,890 sq ft. Prices start from RM1mil. Semi-Dees with land area ranging from 1,750 sq ft to 2,930 sq ft. Prices start from RM1.5mil Official launch will be in mid-2012. Jade Hills is located in Kajang, the southern corridor of Klang Valley. It is a boutique gated and guarded residential development which spans across 338 acres with a resort club situated at the centre of the lake. Some 20% of the development is allocated for green lung developments. Starting in 2008 with a development lifespan of seven years, it has a total GDV of RM1.3bil. It is adjacent to Country Heights, Cheras, Sri Kembangan and is a 20-minute drive to Kuala Lumpurcity centre. It is accessible via the Sungai-Besi Highway, KL-Seremban Highway, SKVE Highway and Silk Highway. The development comprised oriental bungalows, semi-detached homes, garden terraces and bungalow land. It has 12 thematic gardens, with walk ways and recreational facilities at the door step and three lakes - Misty Lake, Willow Sweeps and Water Spring. Upcoming launches: Nine units of Lake Front Bungalows at 5,000 sq ft to 6,000 sq ft. Prices from RM3.2mil to RM5mil. Three hundred and sixty-six units of service apartments. Build up starting from 960 s ft to 1,500 sq ft. Prices from RM400 psf. Twenty-two units of Commerce Village which consist of two and three-storey shop office. Prices start from RM830,000. Fifty-two units of Jade Hills town centre which consist of four and five-storey shop office. Prices start from RM1.3mil. In the heart of Nusajaya, Iskandar Malaysia, Horizon Hills is a 1200-acre integrated residential township with a low density spread over 13 precincts. The highlight of Horizon Hills is the designer 18-hole Par 72 championship golf course and five-star country club. Horizon Hills is a 30-minute drive to Singapore and is the fourth township undertaken by Gamuda Land. Starting in March 2007, it has a GDV of RM3.7bil. The duration of the development is for over 15 years. Some of the key features include an 18-hole Par 72 championship 200-acre golf course, a 30km continuous cycling path network and a 400-acre hill conservation area. There are also water features and an exclusive island within the township. KUALA LUMPUR: The local property market is expected to experience slower growth of about 10% in value overall this year compared with 11% in 2011, according to CH Williams Talhar & Wong. Managing director Foo Gee Jen attributed the slightly lower growth to dampened sentiment, but said that it was nevertheless a good time for bargain hunting. “We will see further growth but at a very much lower pace,” Foo said at a briefing on the outlook for the property sector this year in Kuala Lumpur. He said that the appreciation in the market value was mainly driven by cost rather than demand due to labour shortage coupled with higher building material prices. Foo, however, said the property market would remain buoyant on the back of the strong housing property segment, with growth mainly coming from demand from the young population and migration to urban areas. Offices and high-end condominiums, on the other hand, would likely experience an oversupply. Office rentals would remain stagnant or possibly decline for older buildings, but there would be higher asking rentals for newly completed buildings with green certification and Multimedia Super Corridor status, Foo said. He said luxury condominiums saw a huge increase in supply of up to 50% of current supply, as 13,716 units would be coming onto the market in the next five years and put pressure on yields. Foo said occupancy rates and condominium rentals for 2012 would see a downtrend. However, he said buyers were still actively looking for condominium properties in KLCC and Mont' Kiara areas. AFTER my last article on the beauty of having both build-then-sell (BTS) and sell-then-build (STB) concepts, I received some feedback regarding the topic during the Chinese New Year break. It is surprising to observe the interest people have towards this issue, especially on the implications of making BTS the only system in our housing development industry. Many house buyers realised that they can also enjoy the benefits of BTS when they buy from the secondary market. As mentioned in my previous article, 84% of transactions in 2010 were on a BTS basis as purchasing a completed house from secondary market is synonymous with BTS concept. However, some may wonder why it is difficult for developers to adopt the same approach for new projects when it seems to attract more house buyers with BTS? BTS concept allows purchasers to pay the initial 10% deposit and not pay a single cent until the project is completed. The absence of progressive payments from the house buyers means that the developers would most likely require a higher bridge-financing from the banks to develop the project. At the same time, there is lack of assurance that the purchasers will take ownership of the property upon project completion. For example, house purchasers who have paid the deposit may later terminate their agreements by just forgo the 10% deposit if the economy turns down or stock market falls since they are not required to obtain loan in the initial stage under BTS concept. This will leave developers in a “tricky” financial condition when they need to deal with unsold units and repay their borrowings at the same time. This concept may also encourage rampant speculation during the good times. In any business, there should be a binding agreement between buyer and seller to ensure the deal is fair for both parties, and neither party should take advantage of the other. As there is lack of commitment from the purchasers under BTS concept, it is too risky for any developer to undertake massive development and borrowing. Under our existing Housing Development (Control and Licensing) Act 1966 for STB concept, purchaser has an option to terminate an agreement regardless the construction and billing status. However, under BTS concept, developer can only forfeit 10% of the selling price regardless of the progress of project. In Australia, both developer and purchaser are obligated to comply with the sale and purchase (S&P) agreement under BTS concept. Purchaser must take ownership of the house and pay the remaining amount when developer complete the project, otherwise there are clauses that allow developer to take legal action if buyers decide to pull out after signing of the S&P agreement. Therefore, unless it becomes a requirement in our country that the house buyers have to secure the remaining 90% of the property value with a mortgage loan (interest free during construction period) or other form of secured deposits until the project is completed, the banks are obviously subjected to a higher level of risk, and would most likely fund reputable developers with good financial status. And, even if the loan is approved, developers are likely to be charged with higher interests due to higher financing risks. A chain reaction will come to play when it becomes difficult to obtain a bridging loan. Existing small and/or new property developers will gradually be pushed out of the property industry and the bar for new entries will be raised. The vacuum of property developers will then lead to limited supply of new projects and less competition in the property market. With increasing demand due to population growth coupled with reducing supply of housing projects, the average price of properties will eventually spiral upwards making it difficult for both aspiring first time house buyers and investors to acquire a property or for the matter, a selection of properties to choose from. This will ultimately defeat and destroy the government's effort of building affordable and choice homes. Furthermore, a supply reduction in the housing sector would greatly impact the economy as the property industry contributes significantly to other business activities. According to National Property Information Centre, property industry recorded RM107.44bil worth of transaction in 2010. Residential property dominated the overall market, contributing 47.1% of the value of transactions, which is equalled to RM50.6bil in value. More than 140 other industries and trades such as construction, consultancy, engineering, banking industries, etc, would also be affected if the property industry was to slow down. As we approach Vision 2020, we must remain steadfast on our goal to achieve a developed country status. Each industry will play a significant role in realising this goal. It is therefore crucial that there be no impediments that would either delay the growth and development of industries or, for the matter, send them a step backwards. With sufficient rules and regulations in place, allowing the free market to dictate how the industry should be shaped will not only benefit all parties, it will equally help to steer the growth and development of the industry. Perhaps, there is more room for consideration before BTS is made mandatory by 2015. And those who want to have an assurance of their home should buy from reputable developers or in the secondary market, as what 84% have done in 2010. *Datuk Alan Tong is the group chairman of Bukit Kiara Properties. He was the FIABCI world president in 2005-2006 and was named Property Man of The Year 2010 by FIABCI Malaysia. The Malaysian Institute of Estate Agents (MIEA) aims to offer more training programmes and courses to enhance the level of professionalism of real-estate agents in the country. It recently held a two-day seminar on the Certified International Property Specialist (CIPS) to enhance the knowledge of its members. “The CIPS is an internationally-recognised course and it's being promoted aggressively in other countries, such as Indonesia, Singapore and Thailand. The seminar is to provide our agents with the know-how on how to sell properties internationally,” MIEA president Nixon Paul tells StarBizWeek. Incidentally, selling property abroad is also the theme for MIEA's Malaysian Annual Real Estate Convention 2012 (MAREC 12) next month. Themed Property Investment The Way Forward, Nixon says the MIEA decided on this topic because it felt that property investment was relevant and has become a very big part of estate agents' daily business activities. “There have also been many purchasers from Bangladesh, surprisingly. It's true, when you think of Bangladeshis, you imagine them being poor. But the rich are very rich,” he says. Nixon says there has also been an increase in Indonesian buyers. The convention, which will be held on March 3 and 4 at the Sime Darby Convention Centre, will feature distinguished speakers such as RAM Holdings Bhd group chief economist Dr Yeah Kim Leng. MAREC 12 will also be the first time that such a convention will be made open to the public. Nixon personally believes that the property investment opportunities are outside the Klang Valley. “This is because the entry-level (for property) is so much lower in other states,” he says. Nixon adds that Islamic finance would also be a topic that would be discussed at MAREC 12. “There have been many developments within Islamic finance that have made property investment a lot more attractive. It (Islamic finance) has grown over the years and there is a lot about it the general public is not awareof. This weekend, the MIEA is organising a seminar on property investment. “Investors need to be aware of their exit strategy when to get out of their investments. You have short-term investors and long-term ones, who have different views,” Nixon says. He also says plans are in the pipeline to have social network-related training programmes for its estate agents. “The global environment is changing so quickly that it's becoming hard to keep up! Before, people placed advertisements, then it progressed to websites. Now, its social networking platforms such as Twitter, Facebook! Nixon says the MIEA, through its various training initiatives, hopes to be able to reach out to members located in states outside the Klang Valley. According to him, the MIEA currently had around 700 estate agents, with the bulk of its members located within the Klang Valley. Nixon says the MIEA also wants to attract more professionals into the profession. “Today, we're getting quite a number of professionals, such as lawyers and accountants, coming into this profession. The estate-agent profession is viewed positively as a long-term career path. “We hope to attract more professionals into this line to increase the level of professionalism and with better service we can better serve the market,” he says. On another note, Nixon says the public should conduct a check on the background of a particular estate agency before engaging their services. “There are a number off illegal agents out in the market and when you engage one, it doesn't hurt to call up the number on their card and check with their office to determine if they are legitimate,” he says. GEORGE TOWN: The privatised building and development division of Singapore’s Housing and Development Board (HDB) —Surbana International Consul-tants has signed on here to offer consultancy services for their first ever public housing project in Malaysia. The project, located in Bandar Cassia in Batu Kawan, will have a gross development value (GDV) of more than RM2bil and will be developed over a period of 10 to 15 years. Chief Minister Lim Guan Eng said the project, which will build 11,800 affordable apartment units on a 80.9ha piece Penang Development Corporation (PDC) land, is billed as the biggest public housing project in the state’s history. “The proposed scheme will cover five parcels of land and provide some 11,800 quality affordable residential units of three-bedroom apartments housed within blocks of nine to 20 stories. The price ranges from RM72,500 for 800sq ft apartments to RM220,000 for larger units,” Lim said during the letter of commitment signing ceremony in Komtar. He said 53% of the total number of apartments would measure 1,000sq ft, 24% 900sq ft and the balance of 2,760 units at 800sq ft.
Lim said the Penang Govern-ment had chosen Surbana to undertake the design and concept for the first phase of the Bandar Cassia project. “It is widely known that HDB is the best public housing body in the world. “So instead of imi-tating the original, the Penang Government has decided to choose the original and select Surbana for its outstanding record in having developed Singapore’s housing sector,” Lim said. He said the contract between Surbana and the state would see the consulting company receiving 1.5% of the RM450mil GDV from the project’s first phase. The developer will be chosen by open tender at a later date, Lim said. Surbana (Malaysia) managing director Michael Vong said the first phase, which will commence at year end and take some three years to complete, would see some 2,000 apartment units being built. “The units will be located in 16 apartment blocks,” Vong said. The process of house hunting can be an exciting affair. There is the shopping around, breezing through different locations and show units. At some of these launches, sales and marketing personnel flutter about introducing the development and its high points. A wonderful picture of the developer is painted in order to convince potential buyers to fork out a deposit for a unit. So, it is a terribly painful and crushing experience when months or years down the road, the buyer discovers that the project has been abandoned. Uncertainty looms ahead. Last Sunday, LKH wrote to Letters to the Editor page his painful experience of having bought into a project that was subsequently abandoned. In 1996, he and his wife bought a condominium unit in USJ1, Subang Jaya. They signed a sales and purchase agreement, paid the legal fees and the stamp duties and make progress payments. It is a painful experience when a buyer discovers that the project he has bought in has been abandoned. They had paid RM40,000 for a RM180,000 unit. But the 1997 Asian financial crisis put paid to their planned investment. He writes: “On and off, we would visit the site of the project hoping to encounter some good news. It therefore came as a shock when, last month, we were greeted not by the eerie black stumps of rotting structures but with a beautiful and colourful hoarding indicating the imminent launch of a new condominium project by a new developer. A bit of investigation showed that the project is currently being marketed in USJ City Mall, Section 19 by a real estate agency hired by the new developer. The price tag has gone up to about RM500,000 or RM450 per sq ft.
Generally, when a project is revived, the new developer will advertise in the newspaper that a “white knight” has come in to revive the distressed project. If the majority of buyers vote in the new developer's favour, well and good. They may be able to buy the unit if they are able to top up the price. Alternatively, they may opt to get back their deposit, or as much of it as possible. 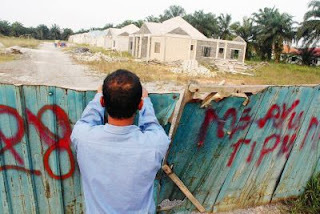 Abandoned projects are not new in Malaysia. But the hassle and uncertainty of having bought into such a project is crushing at worse, and a learning experience, at best. So, when it was reported that the responsibility of reviving abandoned housing projects will fall under the purview of the Housing and Local Government Ministry, it is rather surprising that the news evaporated into thin air, like LKH's condominium, without anyone so much as bat an eyelid. It may be too early to tell but since the ministry is responsible for issuing licences to developers, it seems logical they should clear up the mess, if there is one. Secondly, this will hopefully pave the way for the ministry to be more vigilant as to which developer they grant licences to. Third, because the revival of abandoned projects now falls under a government ministry and not a government agency they will have some clout to get projects moving again. Some projects will not see life, however, because they may be located in the boondocks. Which begs the question, how is it the project got approved? Basis for another story. In January, the ministry said that it will revive 35 abandoned projects, involving 12,000 housing units, throughout the country this year. The Government had revived 84 abandoned housing projects since 2009, about half of projects left derelict for some reason or other. They were in distressed mode for between six to eight years before the government stepped in, at a cost of RM8mil. At that price, most of them would be low-cost housing. At a time when property houses have moved up so much, RM8mil does not seem a lot. Before the ministry came into the picture, government agency Syarikat Perumahan Negara Bhd (SPNB) had that responsibility. SPNB is a wholly-owned subsidiary of the Minister of Finance Inc (MoF) with a paid-up capital of RM10mil. In 2010, it was reported that it had borrowed RM1.3bil from the Employees Provident Fund to fund its projects. Because it was part of MoF, the Government was also helping SPNB with land acquisition for its projects. In short, where funding and land acquisition was concerned, the Government was at its disposal. The funny thing is, besides its role to revive abandoned projects, it is also a developer. Now which role would be more lucrative? The hassle of having to deal with angry and frustrated house buyers, or being a developer and market affordable housing and make loads of money, with the government coffers available to them? Assistant news editor Thean Lee Cheng believes the Housing and Local Government seems to be in a better position to revive distressed projects and help distressed buyers. It cannot slip into the role of a developer. JOHOR BARU: The federal government has approved a RM200mil facilitation fund to kick-start the state's first waterfront development project. Prime Minister Datuk Seri Najib Tun Razak, speaking at Danga Bay's 15th anniversary event here Sunday, said the project would give Johor Baru a major facelift. The planned projects include a cruise terminal, shopping malls, and trade and exhibition complex. Najib also announced the setting up of the RM50mil Danga Foundation to fund scholarship programmes, research grants, and aid to charities and the needy. Also present was Johor Sultan Ibrahim Iskandar and his consort Raja Zarith Sofiah. PETALING JAYA: The Employees Provident Fund (EPF) is considering privatising Malaysia Building Society Bhd (MBSB) as it intends to do much more with the residual properties of the non-bank lender, reliable sources said. “The EPF is looking to unlock the values in the properties that MBSB has,” said the source. The EPF owns 65.5% of MBSB, while institutional fund Permodalan Nasional Bhd is the second largest shareholder with 7.26%. Based on MBSB's 2010 annual report, the company has 9.21 hectares (ha) in central Johor Baru and another 16.9 ha in Malacca. These pieces of land carry a book value of some RM169.2mil but analysts say they are worth much more now. Besides that, MBSB also has a few pieces of land in Sungai Buloh with a combined area of 5.73 ha and a book value of RM31.9mil. These properties were inherited by MBSB as many of its delinquent loans of the past were backed by properties in good locations. “The Johor land is particularly valuable given its proximity to Johor's coastline where big plans are being unveiled by the state for a massive integrated waterfront development,” said one analyst. 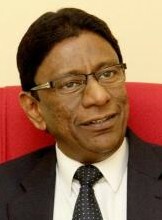 He added that any plans to develop MBSB's residual properties would tie in nicely with the EPF's plans for its unit called Kwasa Land Sdn Bhd. This 100% subsidiary of EPF is the master developer of the Rubber Research Institute Malaysia land in Sungai Buloh. MBSB's list of properties came about after the lender had ventured in a big way into financing real estate development in the 1990s. MBSB had adopted the business model to buy and develop land by itself, with the intention to finance the purchasers of the properties. However it did not have the necessary expertise and management skills to execute its plans. Its non-performing loans (NPLs) stood at 59% in 2002, which stood at about RM2bil, and has gradually been brought down to the current level of 8%. In a recent analyst briefing, the management of MBSB had also provided guidance that it would strive to reduce their net NPL ratio to between 5% and 6% in 2012, which is substantially below its current level. Ultimately chief executive officer Datuk Ahmad Zaini Othman wants to lower its NPL ratio to just between 2% and 3%, definitely not a small feat if one looks at the ratio that stood at 19% back in 2009. Recently, the lender posted RM325.4mil as net profit for its full year ended Dec 31, 2011, more than doubling the RM146mil it achieved in the previous year, driven by a loan growth of 22.8%. Analysts are bullish on MBSB given its recent turn of fortunes and the recent civil servants' pay hike which bodes well for the company. “The restructuring of MBSB's NPL has been a very good turnaround job, and its focus now on personal finance had improved the business direction of the company,” he said. According to AmResearch, MBSB's gross loans recorded an annualised growth of 31%, with the main driver being the personal financing segment, which grew at an annualised rate of 136%, above its forecast of 100%. “Personal loans made up 40% of MBSB's total loans in second quarter 2011, compared with 28% in fourth quarter 2010,” it said. OSK Research also said MBSB would be able to entice the more affluent civil servants to take up loans by offering more innovative products to them moving forward. “We think that once their master agents are fully trained up to attend to these customers, MBSB will be able to monetise their innovation on this group of discerning customers whom we think will require more servicing,” it said. KUALA LUMPUR: Guocoland (Malaysia) Bhd has received conditional approval from the Economic Planning Unit (EPU) for its proposed purchase of a 18.68ha land from Bonds Corp Sdn Bhd. The acquisition is subject to the condition that Wonderful Space Sdn Bhd (WSSB) has at least 30 per cent Bumiputera equity interest before the transfer of land is affected. WSSB is seeking clarification from the EPU on the Bumiputera equity condition.